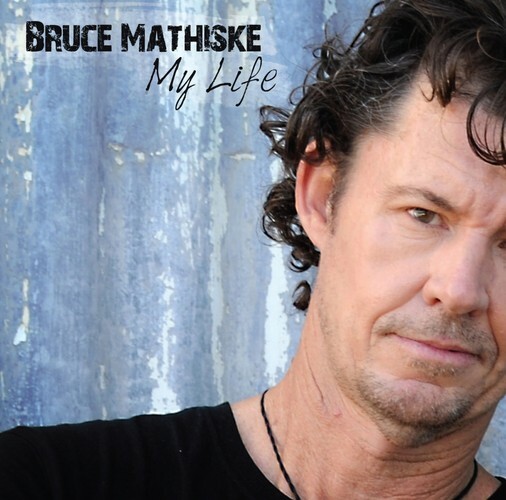 Internationally renowned guitar maestro and performer Bruce Mathiske is fortunate enough to tour the globe, playing the sort of music he has always aspired to play. But it has been a long and sometimes extremely difficult journey to reach this point in a remarkable career that has spanned nearly 3 decades. Mathiske, who can add composer, documentary maker, presenter, producer, writer, teacher and public speaker to his list of accomplishments, is an inspiration, and not just for his career achievements. Confronting and overcoming a number of potentially life-threatening and career-ending obstacles with bravery, tenacity, and an amazing amount of perseverance, hard work and dedication, all the while with his legendary good grace and humour firmly in place, speaks volumes about the very special man behind the music. My Life, Bruce’s 17th album is something of an autobiographical release; a chance for an artist that has scaled the heights from some very dark lows, to look back and reflect on a life and career that he is both eternally thankful for, and very deserving of. Bruce is about to undertake his largest Australian tour to date, with a new live show built around the My Life album. He’ll be performing in metropolitan capitals and regional cities and towns, from Tasmania to Victoria, up to New South Wales and Queensland, with South Australian and West Australian shows likely later in the year. The shows are a mix of many rhythms and moods, add to this Didgeridoo and Mathiske surpasses expectations at every turn, audiences are gobsmacked at his ability to play bass, rhythm and melody simultaneously. For full tour dates and more information, please visit his website.